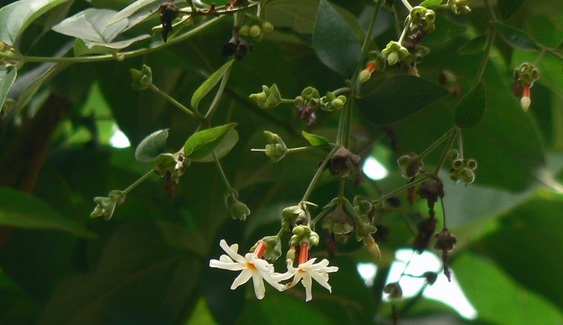 Home / Uses of Nyctanthes arbor-tristis L.
Dried fruits are taken orally to get relief from cough102; decoction of dried flower is given with jaggery as an antifertility agent in females103; leaf juice is applied externally on ringworm and other skin diseases103. ‘Lupin’104 is a medicine used for pain and inflammation associated with musculoskeletal and joint disorders. Six patents were found on its medicinal uses for treating Leishmaniasis105 and also for its natural property as a dye106.